Merrills Landscaping Inc. is local, family run, and fully insured. We serve many local businesses including Foxcroft Academy, Bangor Savings Bank, Central Maine Power, and Town & Country Realtors. 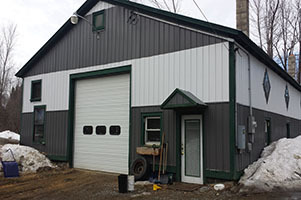 We offer a variey of services in the areas of landscaping, carpentry, and snow removal. 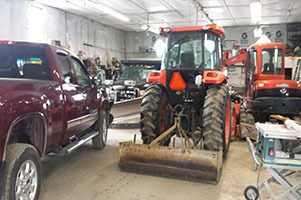 We have a full fleet of equipment including a tractor, excavator, and three commercial mowers. Give us a call and let Merrills Landscaping Inc. make your landscaping dreams a reality. From spring and fall clean-ups to hardscapes and landscape design. Getting the outdoor look that you have always dreamed of is just a phone call away. Click here for more information on the landscaping services we provide. Sheds, play houses, or houses for an entire family. No carpentry job is to big or small. Click here for more information on our carpentry; including pictures of projects we have completed. Don't let the winter storms slow you down. We offer plowing, as well as sanding and salting. Tired of shovelling your door yard before you head off for a long day at the office. Let us take care of all your snow removal needs.